I got a container of very ripe Italian plums in a delivery of mystery vegetables (and apparently some fruit). They were smaller and more oblong than regular plums, and even though they were ripe, they weren’t very juicy or sweet. They seem to be common during the fall harvest, so there’s a chance you might still find them around. 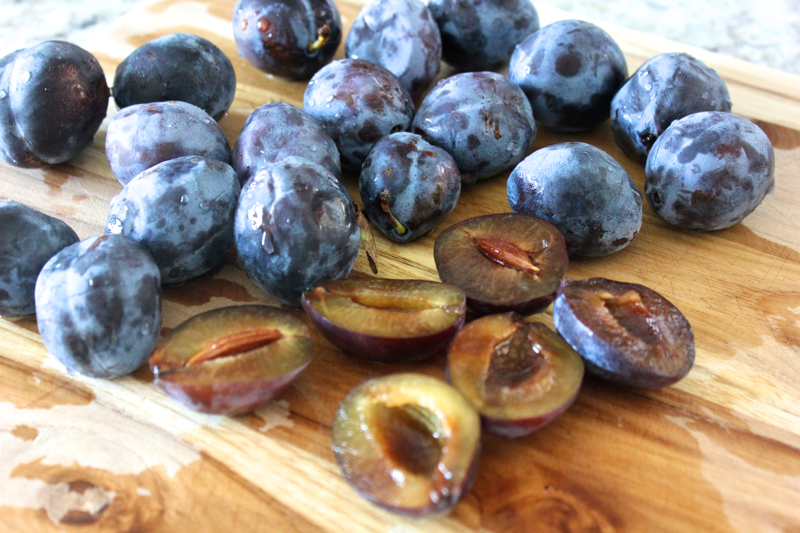 A little research revealed that the plums are best for baking, and I heartily agree. Their juices and sweetness concentrate, but the plums remain firm and pleasant to bite into. This beautiful pie/cake/tart hybrid is a delicious way to enjoy them, should they find their way into your kitchen. To make this cake, begin with the dough. Add 225 grams (approximately 1.5 cups) of flour to a mixing bowl, and make a well in the center. To the center, add 2 teaspoons of active dry yeast. Separately, warm 1/2 cup of milk to just above body temperature, and then pour 1/4 cup of the milk into the well. Follow that with 3 tablespoons of sugar. 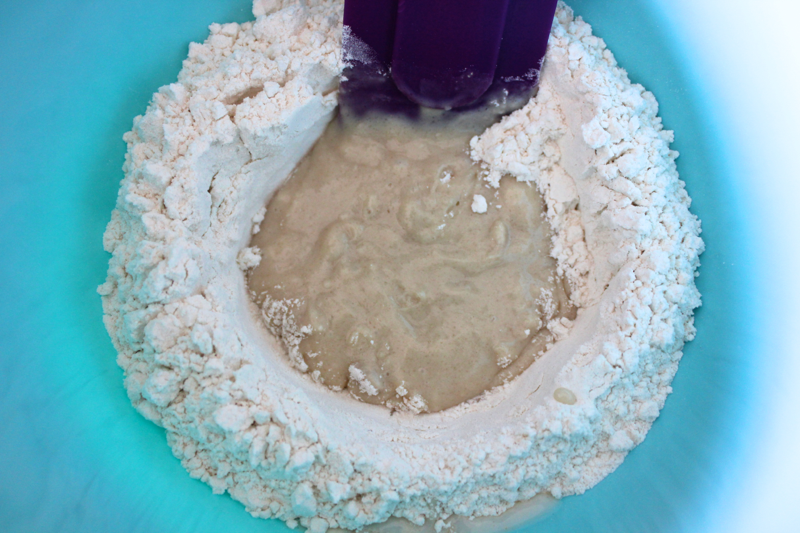 Mix the ingredients inside of the well together, incorporating just enough of the flour to form a thick paste. Let the paste sit for a few minutes, or until it begins to bubble from the yeast. Then, stir in the remaining 1/4 cup of milk, along with 1 egg yolk, 3 tablespoons of melted butter, a pinch of salt, and the zest from one lemon. 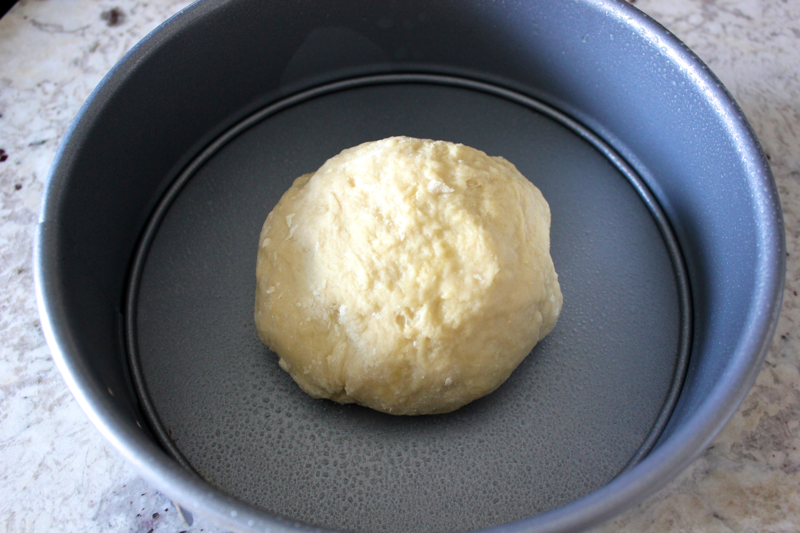 Knead the dough until it forms a smooth ball, and then put it in the center of a greased, 9-inch springform pan. Cover the pan, and let the dough rise in a warm place for about 1 hour or until it has doubled in size. While the dough rises, pit and quarter 1.5 pounds of Italian plums. 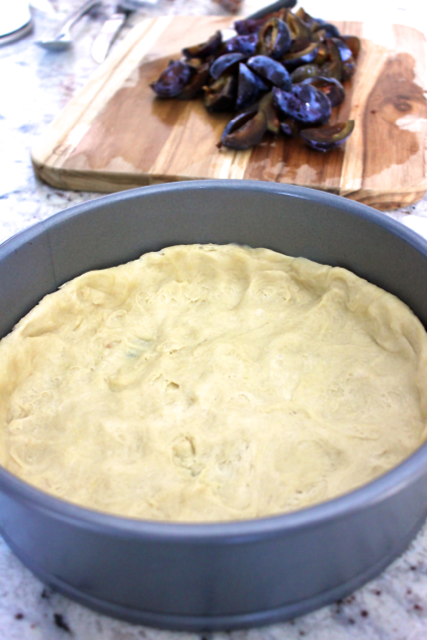 Once the dough has doubled, use your fingers to press it into the bottom of the pan and up the sides to form a crust. 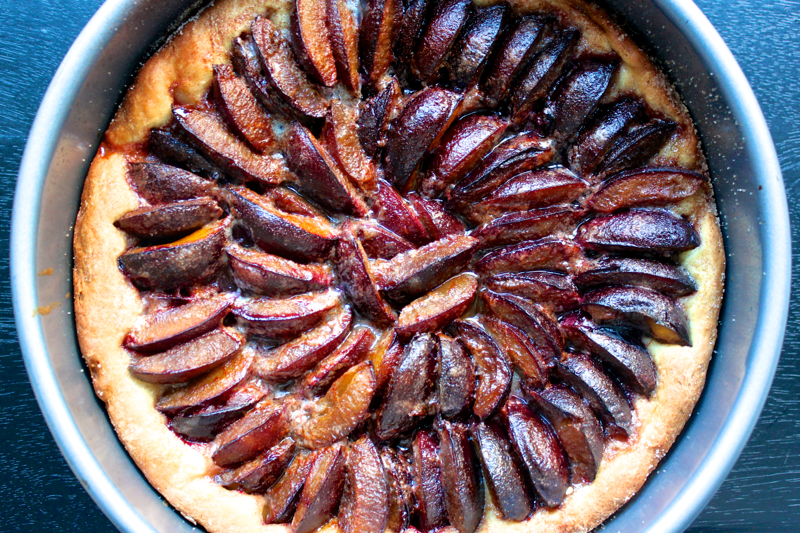 Preheat your oven to 350° F.
Layer the plum slices into the crust in concentric circles, starting along the outside edge. For the prettiest effect, squeeze as many plum slices in as closely as you can. Melt 2 tablespoons of butter, and drizzle it over the top of the cake. Then, sprinkle the cake with a mixture of 3 tablespoons of sugar and 2 tablespoons of cinnamon. Bake the cake for approximately 45 minutes until the crust is golden brown. Once cool enough to handle, remove the cake from the springform pan, and serve. 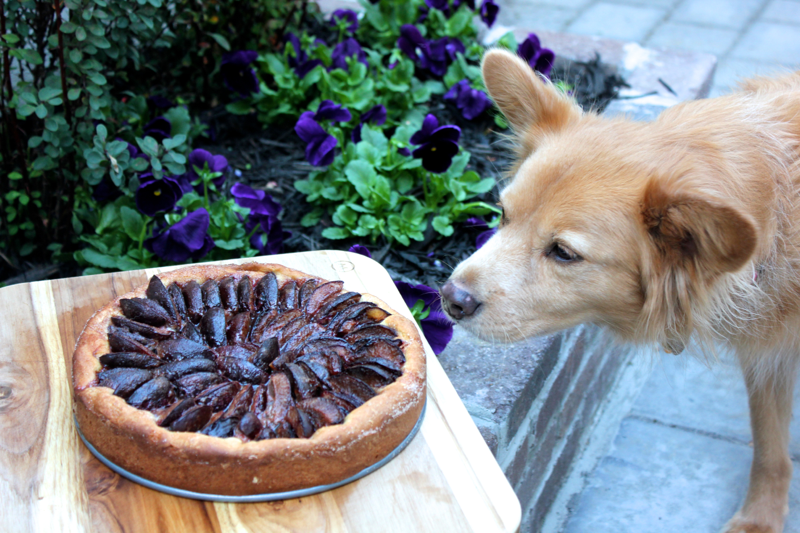 Puppies far and wide will flock to your delicious creation. 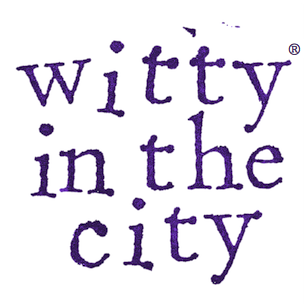 This recipe is from David Lebovitz. The cake looks nice but Stella is BEAUTIFUL! !